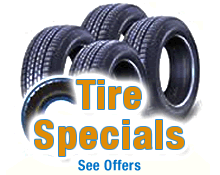 Buy four select tires, get a $70 rebate by mail. Plus, get another $60 when you use the Quick Lane Credit Card*. On these name brands: Goodyear, Michelin®, Hankook, Continental, Pirelli®, Bridgestone, Firestone, Yokohama®, Toyo® and Nitto®.